It's 11 a.m. on a Saturday and it feels like everyone is at the farmers market today. I walk up to the compost bin with my mom and dump our food scraps from this week into it. The food scraps stink, but they'll become beautiful, fertile compost in no time, thanks to John (who manages the compost pails at my market). After a quick chat with him (probably about the native plants), me and my mom head over to the booths. There's so much produce and it changes with the passing seasons. I get my cloth produce bags ready and put some apples in one of them. I pay for them after they're weighed, no questions asked. Then, I put the produce bag in my reusable tote bag and move on to the next booth with my mom. We pretty much repeat the same process: Food goes into cloth bag, it gets weighed, we pay for it, we put it in the tote bag. This is how we shop zero waste at the farmers market every week. 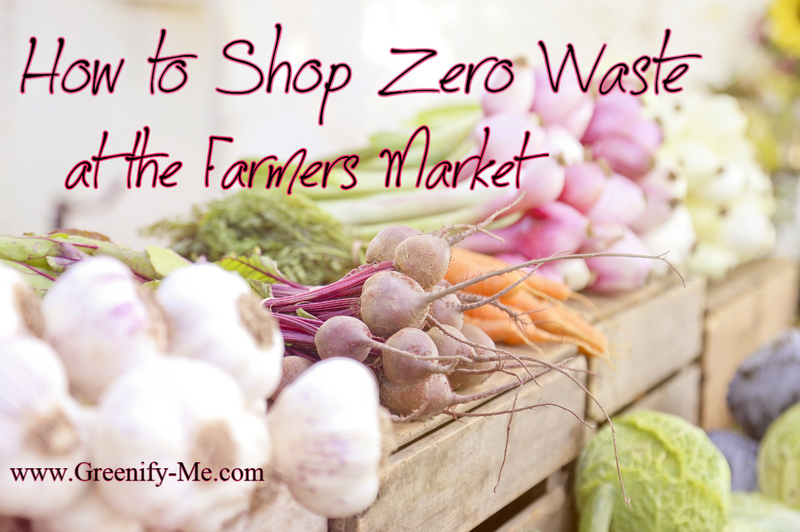 In this article, I'm going to share my tips and tricks to shopping zero waste at the farmers market. I go pretty much every week, and have been for several months. 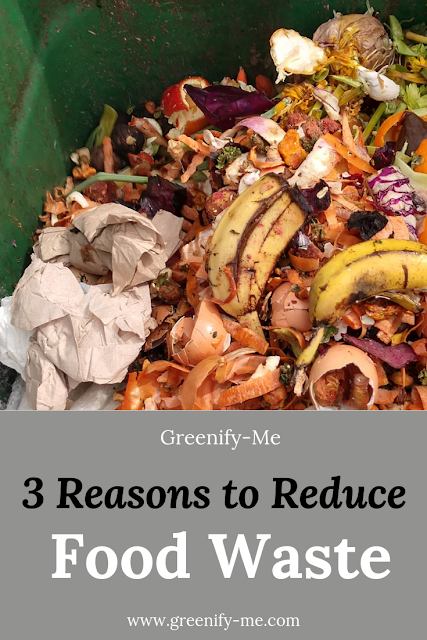 I highly recommend you do too, for several reasons: People there are generally more accepting of plastic-free produce bags, you get local + fresh produce, and you can dump food scraps off for compost. Oh: Plus, you save money for higher quality produce. What's not to love? If you're really vested in shopping zero waste at a farmers market, you'll need some reusable produce bags. These will replace the plastic produce bags that other people use at the market all the time. No, you won't get in trouble for using these (in fact, I've never been questioned or asked why I was using them at all). Just place any fresh produce you'd like to buy in it and walk up to the register. They may have to weigh your produce, or you might just have to show them what you bought. Either way, it's a pretty simple process and only takes a few seconds. Get some reusable tote bags. This will come in handy when you have too many produce bags to juggle. You can just slip your filled produce bags into the reusable totes and walk around effortlessly. Some farmers markets might even offer free reusable tote bags (mine gave me two of them!). If not, consider buying or making your own. Some supermarkets sell reusable tote bags made out of hardy plastic. 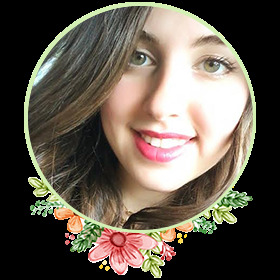 There are lots of websites that sell them (Etsy is a good place to start), and a lot of good DIY tutorials out there. I recommend Blu Bag (I have and use one of their bags all the time). They come in a sealable pouch which make them super easy to store in a purse and take with you anywhere. They also come in really cute designs (mine is blue with turtles on it). At the least, I suggest taking 3 to 4 reusable totes with you (or 2 really big ones). If your farmers market sells meat (and you happen to eat meat), you can collect it in a number of ways. Consider bringing some glass jars (emptied and cleaned sauce jars, or mason jars) with you. You can tell the butcher to place the meat in there for you. If you're worried the meat you want will be too big for a mason jar, then you should definitely bring an air-tight and rectangular stainless steel storage container. Life Without Plastic sells a bunch of these, but I recommend getting the biggest one they have to be on the safe side. You can fit a whole pastured chicken in there! The best part is you don't even have to take the chicken out of there to cook it in the oven: The container is all metal, so it'll be fine. This is assuming chicken is what you decide to put in there, of course. It's just one example. Make sure to get it tared before using it so that you don't have to pay for the weight of the container itself. Also, if you don't have a stand that sells meat at the farmers market, try asking your local butcher to put the meat in one of these stainless steel storage containers. You'd be surprised at how accommodating people can be when you ask nicely. You might get a few people asking you if you would like a bag with your purchase, even tho you already have a bag. Don't fret over that, they're just used to asking it. Politely decline and say you already have a bag. I usually just say "Oh no thank you, I already have a bag", and sometimes it will result in me talking a little about reducing plastic waste. Most of the vendors at my farmers market are really interested in that stuff and support it heartily. I'm sure yours will too, if you are honest and kind about it. If you see something you want, but it's packaged in plastic, don't be afraid to ask for it package free. Most people are really accommodating. Just make sure you have a reusable container of some sort handy to put it in! If you'd like to get some bread at the farmers market, consider taking some Bees Wrap with you. They sell bread wraps that you can request the bread to be covered in. Then, just slip it into your reusable tote and be on your way. If you prefer, you could also ask them to cut the bread and put it into a stainless steel container of some sort. This is a little trickier because you'd have to find the perfect sized container to fit it. Personally, I think Bees Wrap is the easier option. Also, the same goes for getting cheese: Take a container it will fit in, or Bees Wrap. Make sure you get the appropiate size, depending on the cheese you want! And do your best to make sure it doesn't get squished in your tote bag. Perhaps buying this last would be the best option (that way it'll be on top of all the other items and can't get squished). Strawberries and other berries will probably come in paper cartons: This is okay because you can return them the next week and they'll be reused. Storing these safely in your tote bags may be a little tricky: You don't want them to get crushed or fall out of the carton! Be careful when placing them in. Some of the booths make this a little bit easier by offering these fishnet-like covers for your fruits. These help keep them in place and can also be brought back to be reused. I'm not sure if your farmers market will do this, because every market is different. Still, if yours doesn't, try to find a creative way to keep those fruits in place, plastic-free! Plan ahead: If you know you want to get a lot, make sure you have enough materials to cover it. The last thing you want is to be unprepared and be forced to use a plastic bag you can't reuse. For me, I (almost) always get tomatoes, carrots, lettuce, kale, zucchini, apples, pears, strawberries, and cucumbers at the market. This of course depends on seasonality, and my budget. It does last me a full week though, and I make one salad every day for lunch with this produce. It usually costs around $30 to $40, depending on what I'm getting. I get about 6 apples, 1 bushel of kale and lettuce, 2 zucchinis, 3 pears, 2 full tomatoes, 2 cucumbers, and 1 carton of strawberries. Sometimes I'll also buy honey and maple syrup, since the market I go to sells this too. Again, this varies with the season, what's available, and what I want, but you get the picture. Try to plan ahead as best as possible so you know what materials to bring. Some produce might have a rubber band around it. If this really bothers you, take it off and hand it back to the farmer. They shouldn't give you a problem with this if you explain how you're trying to avoid plastic packaging. If it doesn't bother you, save it at home for something useful! Warning: Don't go to the farmers market alone! It's best to go to the farmers market...with another person! They can help you balance out all the tote bags, produce bags, and money. I could never shop at the farmers market without the company of my mom (or my boyfriend, if she can't come). It would just be too much (I only have two hands, after all). Trust me when say zero waste shopping can turn into a huge juggling act if you're not being careful. 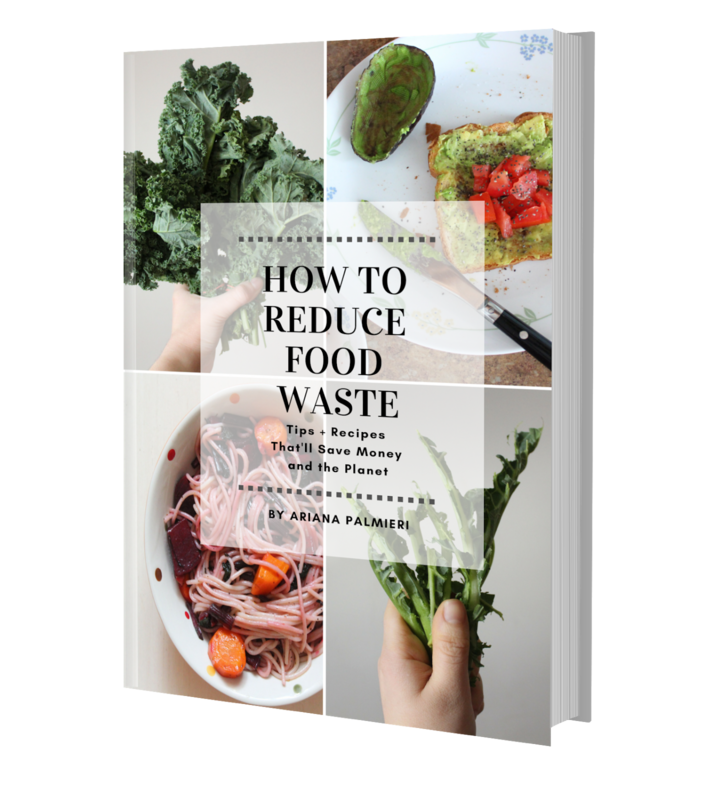 First, make sure your local farmers market actually accepts food scraps. You can check this by going on their website, or straight up visiting them to see for yourself. Before I went zero waste, I did go to the market a few times before, so I already knew they had a compost bin. Double check to make sure yours does too, otherwise you might have to compost at home! If they do have one, and you do want to donate your food scraps, I suggest investing in a compost pail. I got mine from Eartheasy: It's stainless steel, comes with a filter that completely eliminates odor, and can hold up to 1 gallon of food scraps. I got my whole family into using it too (which is great because they're really not zero-wasters). It sits on the kitchen counter and is very accessible: When someone makes eggs, they just open the pail and dump the egg shells in there. When someone peels a carrot, they open it and put the shavings in there. Its got a handle so it's easy to lift and carry too: When we're about to go to the farmers market, I just lift it up and put it in a reusable tote bag. Then when I get to the market, I just take it out and dump all the contents into the compost bin. It always needs a good washing when I get home from the market, but it's very handy. I wrote a whole blog post on how I compost in my apartment, so you should check that out if you want more info on how and why I do it. You can also store food scraps in an air-tight container you have lying around at home. However, please be advised I did this before I got my compost pail and didn't prefer it. I used an old plastic container and kept my food scraps in the fridge so they wouldn't smell. While this method worked, it took up room in the fridge for other things. Plus it was really inconvenient to keep going in and out of the fridge to get it. Ultimately, it's up to you, but I do recommend getting the compost pail to make your life a little easier. I hope this guide helped! Please remember that everyone's experience at the Farmers Market is different, so what works for me, might not work for you. That said, please let me know if there's anything I missed, or feel free to share your own tips in the comment section below. Also, if you are still struggling to find a farmers market near you, doing a quick google search might help. Just type in "farmers markets near me". You can replace near me with your state, or better yet your town for better accuracy. This site called Local Harvest can help you locate one even easier too. Best of luck to you! *This article may contain affiliate links. All that means is if you make a purchase, the brand sends me a small commission. This helps me make more blog posts that you read, love, and share.